ABSTRACT. Historically, the detection of spill petroleum oil on water was assessed via the human eye. To this day, visual observation remains an emergency responder’s first ‘tool’ in identifying oil slicks. But optical detection has since expanded to include a myriad of signals from space, aircraft, drone, vessel and submersible platforms. The first questions in any spill response are: where is it? how much? what oil, where’s it going, can we remediate it? And for surface spills the largest unknown is slick thickness because this determines if it’s ‘Actionable’ oil that can be remediated. Above water oil signal retrieved from the ultraviolet (UV) to near-infrared wavelengths allow for detection of slicks up to 10 µm, but oil sheens exhibit high UV reflectance only below 0.1 µm thickness. For thicker oil, infrared (IR) provides coarse discernment of slick thickness. Superimposed imagery of UV and IR, and radar from space offer a powerful tool, but limited in spatial resolution for most spills. Whereas aircraft (also equipped fluorosensors) and aerial drones address this and help determine locations of actionable oil. Determining thick slickness still remains one of our biggest challenges. Oil plume detection below the air-sea interface also poses many challenges. Optical techniques using fluorescence, scattering, and holography offer a means to determine dissolved versus droplet fractions; in some cases, providing oil concentration estimates. This is critical for establishing potential water column injury and impacts. Subsea detection often requires expensive and cumbersome platforms that are not well-suited for smaller, more frequent spills. Presented will be an overview of approaches and latest research in oil detection techniques. A central goal is to develop small, easy-to-deploy, rapid detection sensors applicable for remote locations such as the under-ice and deep sea. BIO. Dr. Robyn Conmy is a research scientist at the U.S. Environmental Protection Agency (EPA) in Cincinnati Ohio, USA, and leads the Oil Research Program for the Office of Research and Development. Robyn also holds an adjunct faculty position at the University of South Florida. She serves as rotating EPA vice-chair on the congressionally-mandated Interagency Coordinating Committee for Oil Pollution Research (ICCOPR) for federal agencies. Dr. Conmy serves as a technical expert during federal oil spill response efforts and a deposition witness for federal trials. She has published 39 papers in refereed journals, 2 book chapters, and numerous federal reports. 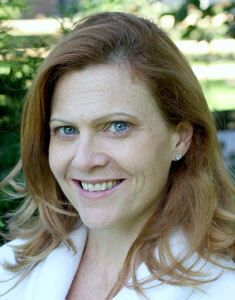 Her research is cited in decision-rules of the US Code of Federal Regulations. With more than 35 weeks spent at sea, her research interests include in situ detection of optical and biogeochemical properties, organic carbon cycling and tracing in marine, riverine and groundwater environments, oil dispersion and fingerprinting, advancing spill response detection tools, photo- & bio-degradation of oil in aquatic environments, and natural resource damage assessment. Robyn serves on the advisory boards of the Coastal Response Research Center, Canadian Multi-Partner Oil Spill Research Initiative, and Gulf of Mexico Research Initiative. She also serves on the American Petroleum Institute dispersant and shoreline cleanup technical working groups, National Response Team S&T committee, and numerous graduate student committees. Robyn received her Ph.D. in Marine Chemistry from the University of South Florida, College of Marine Science in 2008, where she was a NASA Earth Systems Science Fellow. ABSTRACT. Radiative transfer (RT) approximations relating remote sensing reflectance to bb/(a + bb) have been tremendously useful to the ocean color community for decades. Current algorithms to account for bidirectional reflectance distribution function (BRDF) effects in the proportionality (e.g., Morel et al. 2002; Lee et al. 2011) have relied on assumptions about angular scattering by particle fields because measurements of oceanic particle volume scattering functions (VSFs) have been historically lacking. Such assumptions are impactful, as the BRDF is effectively controlled by the VSF. We now have an increasing database of VSF measurements over the last 10 years with which we can assess other algorithm approaches where the VSF is explicitly represented. Related work has culminated in a fully analytical algorithm based on the RT approximation of Zaneveld (1995) with performance effectively equivalent to full RT simulations with Hydrolight when a constant VSF shape derived from our extensive measurements is assumed in the backward direction. The unknown inputs are absorption and backscattering, as with the conventional bb/(a + bb) relationship, so similar approaches to inversion can be directly applied. The algorithm shows improved performance relative to current state-of-the-art look-up table (LUT) based BRDF algorithms, i.e., Morel et al. (2002) and Lee et al. (2011). As a result, the algorithm shows good potential for future ocean color inversion with low bias, well-constrained uncertainties (including the VSF), and explicit terms that can be readily tuned. BIO. Dr. Michael Twardowski is a Research Professor at Harbor Branch Oceanographic Institute, Ft. Pierce, FL, USA, and leads the Marine and Environmental Sensing Program of the I-SENSE pillar at Florida Atlantic University. Mike also holds an Affiliate Professor position in Ocean Engineering at FAU. Before joining HBOI in 2015 he was Director of Research at WET Labs, Inc., where he led development of optical sensors and application of technology to problems in ocean optics. Mike has over 70 peer-reviewed publications on a wide range of topics including remote sensing of optical and biogeochemical properties, ocean color validation, inversion of optical properties to characterize ocean particles and dissolved materials, holographic imaging microscopy, biological camouflage, autonomous monitoring, technology development and protocols for optical sensors. Mike is on the science team for the NASA PACE mission, where he is working on updating concepts for ocean color algorithms and improving accuracy for optical property measurements. His other research activities are currently focused on active sensing with lidar, particle field dynamics, harmful algal blooms, exploring the mesopelagic ocean, and developing new technology. 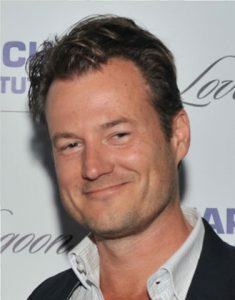 Mike received his PhD in Oceanography from the Graduate School of Oceanography, University of Rhode Island in 1998. He enjoys music and high stakes shuffleboard since moving to Florida. Mike can be reached at mtwardowski@fau.edu. ABSTRACT. The Mediterranean Sea has been considered for a long time to be “bio-optically anomalous”, so that standard ocean color algorithms fail to provide correct estimates of chlorophyll a concentrations over this oceanic area. Such anomalies imply that bio-optical relationships linking the inherent optical properties (absorption and scattering) of the various substances to chlorophyll a concentrations deviate from the average relationships observed in the world ocean. Since the mid-90’s, several studies based on in situ (or satellite) measurements were performed to address this question, and different possible causes were invoked (presence of coccolithophores, influence of desert dust, excess of colored dissolved organic matter…or a combination of these factors). There has been, however, no clear consensus on the origins of these bio-optical anomalies. In addition, the impact of possible specificities in algal community composition (pigments or size structure), has not been well documented. Recently, large in situ datasets have become available with the deployment of Biogeochemical-Argo profiling floats, and with recent cruises such as the PEACETIME cruise. These recent datasets, as well as the compilation of absorption data gathered during numerous cruises since the 90’s, provide new insights into bio-optical anomalies in the Med Sea. BIO. Annick Bricaud is a CNRS senior research scientist at the “Marine Optics, Remote Sensing and Biogeochemical Applications” group of the Laboratoire d’Océanographie de Villefranche (LOV) in Villefranche-sur-Mer, France. She received an Engineering Degree in Marseille in 1975, a Doctorate degree in Oceanography from the Université Pierre and Marie Curie (Paris-6) in 1979, and a “Doctorat d’Etat” from the same University in 1989. She has been in charge of the Marine Optics group of her lab from 1996 to 2000. 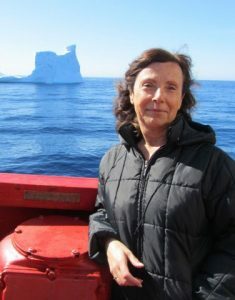 Her research field includes experimental and theoretical studies of inherent optical properties (absorption and scattering) of phytoplankton, non-algal particles, and colored dissolved organic matter, in situ optical properties of oceanic waters, ocean color algorithms, and spatial/​temporal variations of space-derived products at regional and basin scales. In the last years, she focused her activity on the estimation of phytoplankton dominant size from ocean color data, on the analysis of bio-optical data from profiling floats, and on the study of bio-optical anomalies (particularly in the Arctic Ocean). She has published 73 papers in refereed international journals (35 as first or second author). She has been a member of the Mission Group of CNES for POLDER-1 (1993-1998), of the Science Advisory Group of ESA for MERIS (1993-2007), of the Conseil National des Universités at Université Paris-6 (2003-2011), and of several committees for French national programmes. She has been an associate Editor of the journal Biogeosciences from 2007 to 2015, and a member of the TOSCA-Océan Scientific Committee of CNES since 2010. ABSTRACT. Dr. Ved Chirayath’s plenary presentation will highlight two instrument technologies he invented at NASA including Fluid Lensing, the first remote sensing technology capable of imaging through ocean waves in 3D at sub-cm resolutions, and MiDAR, a next-generation active hyperspectral remote sensing and optical communications instrument. Fluid Lensing has been used to provide the first 3D multispectral imagery of shallow marine systems from unmanned aerial vehicles (UAVs, or drones), including coral reefs in American Samoa and stromatolite reefs in Hamelin Pool, Western Australia. MiDAR is being deployed on aircraft, and underwater remotely operated vehicles (ROVs) as a new method to remotely sense living and nonliving structures in extreme environments. MiDAR images targets with high-intensity narrowband structured optical radiation to measure an object’s non-linear spectral reflectance, image through fluid interfaces such as ocean waves with active fluid lensing, and simultaneously transmit high-bandwidth data. As an active instrument, MiDAR is capable of remotely sensing reflectance at the centimeter (cm) spatial scale with a signal-to-noise ratio (SNR) multiple orders of magnitude higher than passive airborne and spaceborne remote sensing systems with significantly reduced integration time. This allows for rapid video-frame-rate hyperspectral sensing into the far ultraviolet and VNIR wavelengths. Finally, Chirayath will present preliminary results from NASA NeMO-Net, the first neural network for global coral reef classification using fluid lensing and MiDAR. BIO. Dr. Ved Chirayath directs the Laboratory for Advanced Sensing (LAS) in the Earth Science Division at NASA Ames Silicon Valley. His research is directed at inventing next-generation advanced sensing technologies for NASA’s Earth Science Program to better understand the natural world around us, extending our capabilities for studying life in extreme environments on Earth, and searching for life elsewhere in the universe. He leads a multi-disciplinary team developing new instrumentation for airborne and spaceborne remote sensing, validates instrumentation through scientific field campaigns around the world, and develops machine learning algorithms to process big data on NASA’s supercomputing facility. Dr. Chirayath invented the fluid lensing algorithm and is PI of the NASA FluidCam instrument. He is also the inventor of the MiDAR system for active multispectral remote sensing and PI of the MiDAR instrument. Currently, he is developing and validating these technologies through airborne and underwater field campaigns. Recently, Dr. Chirayath’s NeMO-Net project was selected by NASA ESTO AIST to create the world’s largest neural network for global coral reef assessment using data fusion of fluid lensing data to augment other airborne and spaceborne remote sensing instruments. 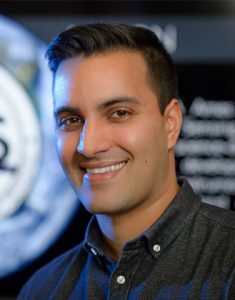 In addition, Dr. Chirayath is the chair of NASA Ames’ Lesbian, Gay, Bisexual, and Transgender (LGBT) Advisory Group and is a Special Emphasis Program Manager for NASA HQ’s Office of Diversity and Equal Opportunity. In 2016, Dr. Chirayath received the NASA Equal Employment Opportunity Medal. In 2017, Dr. Chirayath received the NASA Early Career Award. Dr. Chirayath received his PhD and MSc from Stanford University’s Department of Aeronautics & Astronautics and his BSc with Honors in Physics and Astrophysics from Stanford University and Moscow State University. Full profile » https://earthscience.arc.nasa.gov/sg/person/Dr_Ved_Chirayath. ABSTRACT. Ocean color products are routinely used for the initialization, development and validation of regional to global scale ocean and climate models. In particular, novel satellite estimates of phytoplankton community composition and carbon cycle processes are commonly used to validate simulated marine ecosystem services related to global biogeochemical cycling and climate support. Yet, significant uncertainties remain with respect to the representation of biological and biogeochemical processes in climate models. Here, we discuss recent efforts to better constrain present and future marine ecosystem structure and biogeochemical function based on the analysis of satellite algorithms, mechanistic models, carbon biomass data and HPLC pigment concentrations, and presence-absence observations. We show that estimates of diatom biomass, NPP, silicate production and export differ substantially between observational data products, and that they are dependent on the ecological niche structure and seasonal dynamics of biomass-rich diatom species pertaining to multiple genera. We use species distribution models to extrapolate in situ observations of plankton biomass and diversity to the global scale, and ecological niche analysis to identify the physical and biogeochemical drivers of phyto- and zooplankton biogeography. We show that the habitat suitability patterns of thousands of phytoplankton species can be used to define marine ecoregions with distinct biogeochemical and physical properties, as well as biodiversity patterns, thus linking properties readily observable from space with biological in situ observations. We subsequently highlight challenges associated with the use of ocean color products in global climate applications, and discuss potential future avenues to improve and better integrate different data streams. BIO. 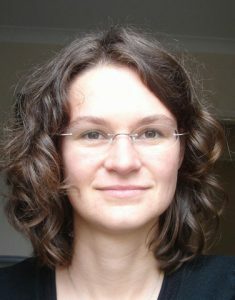 Dr. Meike Vogt is a marine ecosystem modeler and biogeochemist with a PhD from the University of East Anglia, Norwich, UK. Since 2010 she is a senior researcher in the Environmental Physics Group at ETH Zurich, Switzerland. Meike Vogt is interested in the link between marine ecosystem composition, ecosystem function and ecosystem services related to global biogeochemical cycles and climate support using in situ observations, statistical and mechanistic modeling approaches. She was the co-coordinator of the MARine Ecosystem DATa (MAREDAT) initiative that compiled the first global atlas of plankton functional type biomass across multiple taxa, and she is a member of the scientific steering committee of the MARine Ecosystem Model Inter-comparison Project (MAREMIP) that aims at the improvement of biological processes in current state-of-the-art marine ecosystem models used in future climate projections and the IPCC process.